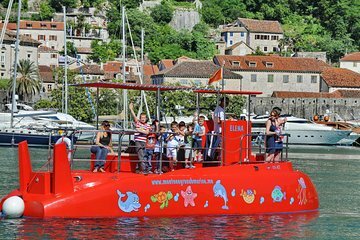 Get an unusual view of the Bay of Boka on this semi submarine tour. Float along the surface of the water and observe the underwater life from the below-water decks. Sit up on the above-board deck to enjoy views of Kotor and the surrounding mountains. Stay comfortable with onboard air-conditioning and cold water.